Silverfish are pesky little insects that are generally about 1/2 inch long with a silver-colored body that is wider near the head and gradually narrows toward its rear end. These are pests that can damage a home if left unchecked. Silverfish prefer to live in areas that are rich with starchy materials or molds. While these aren't their only food sources, they are their most prevalent. Silverfish are nighttime travelers and prefer to live in dark areas. Basements, attics or underneath cupboards or cabinets that also have mold growths are often targets for silverfish. Silverfish prefer humid, damp areas. Bathrooms can be breeding grounds for silverfish because of the humidity and because the climate can be ripe for mold growth. Silverfish can feed on bookbinding materials as well as wallpaper paste. Combining wallpaper with a moist, humid area creates a perfect home for silverfish. Outside of a home, silverfish will usually live underneath a bird's nest or tree bark or mulch. Underneath the mulch or bird's nest, mold or fungi can grow, attracting the silverfish. Silverfish react to strong smells called pheromones. They avoid pheromones they do not like, such as the smell of cedar. Silverfish live in damp, dark places and will often settle in musty attics, or in basements around furnaces and near pipes where water condenses. Silver fish eat any kind of starch, including the glue in book bindings; paper; and natural fabrics like linen, cotton and wool. Silverfish are commonly found in attics that have grown damp due to loose or leaking shingles. 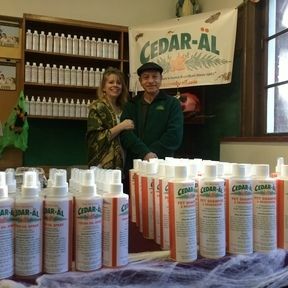 Cedar roofing shingles can help to repel silverfish and keep out dampness at the same the time. Shredded cedar mulch spread around foundation plantings can discourage silverfish and other bugs from entering the house. Damp, warm houses with stacks of old books and piles of poorly ventilated clothing may harbor silverfish no matter how much cedar is used to repel them. To effectively manage silverfish, keep the home dry and as cool as possible, and store perishable clothing and books in cedar-lined chests, cabinets or closets. Also make sure your closets and storage areas are free of food and water. 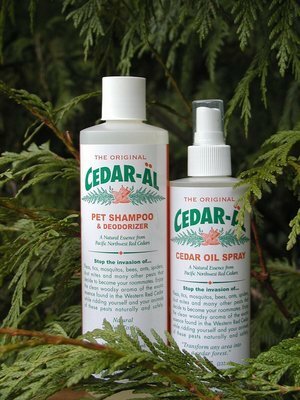 Cedar wood and cedar oil emit a smell that is noxious to silverfish and other common household pests but pleasant to humans. Silverfish experience cedar the way humans experience ammonia. Many closets and bookcases are lined with cedar to discourage silverfish from settling in them. 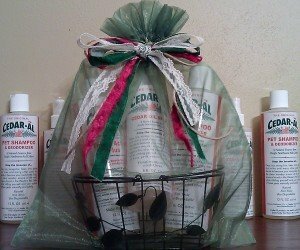 Cedar is a natural insect repellent that helps protect clothing, linens, books and papers from silverfish. 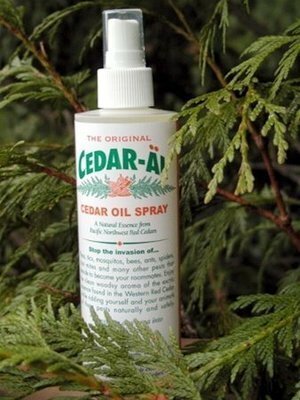 Cedar wood and cedar oil are both used to repel silverfish and other common indoor pests naturally. 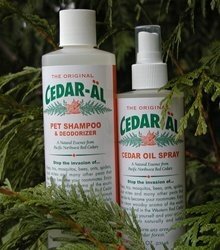 Cedar has been used for centuries to build chests for linens and important papers. Every home at one time had a cedar chest for fabric and paper items that silverfish and moths like to eat. Closets and bookshelves were often lined with cedar veneer because of its known insecticidal properties.